At the onset of the War of 1812, Americans had a strong sense of invincibility. Just 30 years before, we had fought the British and won a long and costly war for our independence. More recently the fledgling American navy had stood up against the Barberry coast pirates North Africa. We were cocky and ready for a fight. England had been embroiled in a long drawn out war with France and the general consensus was that we could most assuredly handle the Red Coats one more time. Once the fighting began, we soon learned that Great Britain was more than a capable foe, but also that many of our military leaders were often out-classed, out maneuvered, and out-witted. In the early days of the war, Americans had tried taking the war to Canada and were soundly defeated. In the northwest territory, American General Hull surrendered his command to an inferior British force almost without a fight. What was initially thought to be a quick and just victory was turning out to be a long hard fight that just may not go as anticipated. In September of 1812 just months after the conflict had been declared, it became apparent that the southern shores of Lake Erie along Ohio, Pennsylvania and New York, were vulnerable to attack and invasion by the British. To help defend these shore-lined border states, several ships were immediately ordered and construction began later that fall. 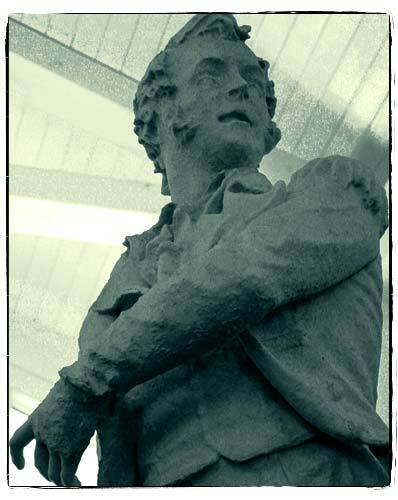 Commodore Perry arrived at the shipyard the following spring to oversee the ship building. In the early spring of 1813 just months after Hull's disastrous surrender at Fort Detroit, General Harrison was working feverishly to assemble a new army, build a series of forts, and supply his new army against the anticipated onslaught of British supplied Native Americans and Canadian troops descending south across Ohio. Harrison's string of defensive fortifications in northwest Ohio came under attack in May of 1813. Harrison ultimately drove back this British advance and crushed their Native American allies. A few months later the 28 year old Oliver Hazard Perry made a dramatic stand on the western end of Lake Erie with those newly constructed ships that were mostly constructed near what is today Erie Pennsylvania at a place known as Presque Isle. The ship building being done at Presque Isle was in a bay protected by a large sandbar that kept the British navy away from the ship building. This meant special steps had to be taken once the ships were ready to sail to get them over the protective sandbar. Although the American ships did have a shallow draft, they still had to be lightened by removing the cannon and supplies off the ship. Two barges were then positioned along either side of the ship and purposely sunk. These sunken barges were then secured to the ship and the water was then pumped out of the barges causing them to rise and lift the larger ship so it could then be floated over the sand bar. By late summer of 1813, almost a year after the ship building program had begun at Presque Isle, Perry had 10 ships ready to set sail, but he was short of sailors to man them. After receiving the request, 89 additional crew arrived on August 10. With the additional crew now on board, Perry ordered the fleet to set sail and made their way to Sandusky, not far from where Cedar Point is now located. Here they anchored while battle plans were prepared. Perry sent word to General Harrison that the fleet was now in position on the western end of Lake Erie and they set up a rendezvous that was to take place at Put-in-Bay on South Bass Island. Harrison arrived the next day and met with Perry. Together they laid out a plan to proceed north toward Detroit in a combined land and water assault on the British. Harrison supplied Perry with some 100 Kentucky marksmen to help man his fleet. 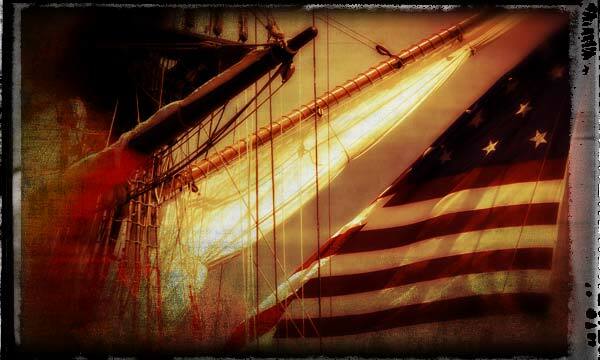 On September 10, the American and British ships made contact around noon. Perry ordered his ships to form a line that would pass along side of the Royal Navy ships. 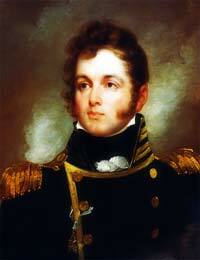 Commodore Perry was on the Lawrence. After a couple of hours the Lawrence had lost all of its cannon on one side and lost its ability to maneuver. 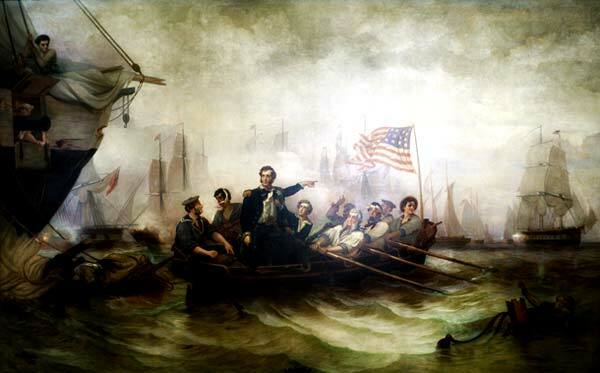 At this point Perry abandoned the Lawrence and on a small row boat transferred his command to the Niagara which had to that point not been involved in the fight. 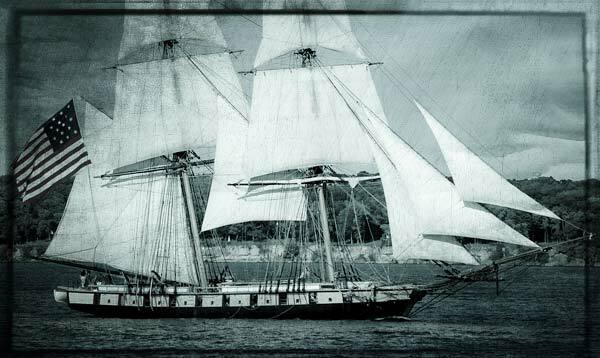 With Perry in command, the Niagara made a daring move by sailing directly across the British line firing broadsides at the same time from both sides of his ship. In an effort to stop Perry during this maneuver, the HMS Queen Charlotte collided with another British ship the Detroit. Both of those ships were then out of commission. The Niagara opened fire on the entangled ships after after several broadsides, both the Queen Charlotte and Detroit surrendered. The remainder of the British fleet soon followed. After the battle, the Niagara helped in transporting Harrison's army to the Detroit River in preparation for the second stage of the battle for Lake Erie. Statue of Commodore Perry inside the visitor center of the Perry Victory and International Peach Memorial on South Bass Island. After the war most of the ships were sunk. The Niagara was kept as housing for crew members working at the naval station at Port Isle. When that station closed, the Niagara was sunk in 1820. In 1825 someone bought all 4 ships that had been sunk with plans of raising the ships. In 1836 the Lawrence and Niagara were raised, but it was decided that their holds were not large enough to be used for shipping and were once again sunk. In preparing for the 1913 Centennial of the War, the Niagara was once again raised. It's keel was in good enough condition that it was used in building a replica used in the Centennial and remain active until 1917. 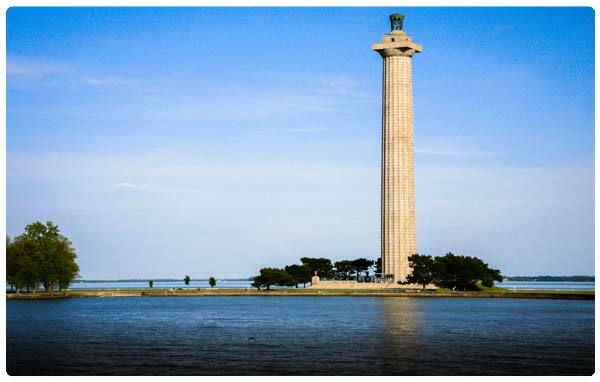 On South Bass Island a monument was erected in 1913 in honor of the Centennial of the Battle of Lake Erie, Perry's Victory and International Peace Memorial was constructed on a narrow piece of land. The 352' monument celebrates the lasting peace between Britain, Canada and the United States.